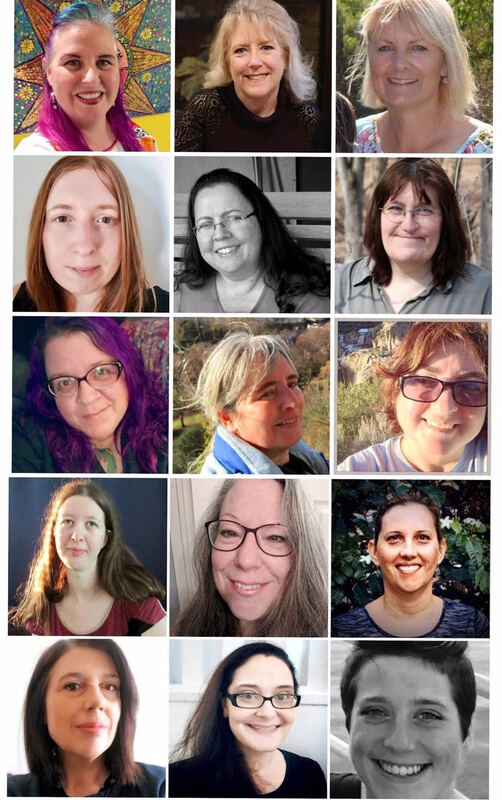 Hello all Cathy here and ready to get 2019 rolling. 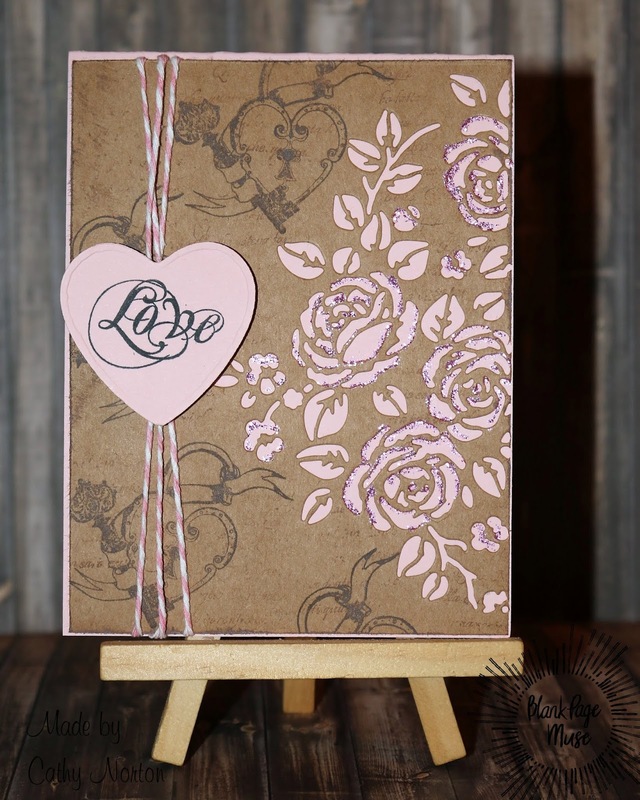 I have a shabby pink vintage Valentine card for you. 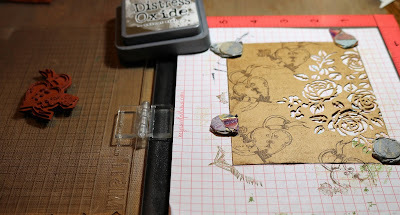 I really like of the look of the shabby style for making vintage cards. You can grunge it up but then add a bit of color and then it becomes shabby vintage to me. 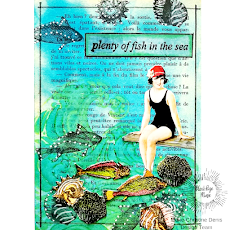 I hope you will join in the fun and make a shabby vintage card with me. Die cut flowers on the side of craft card stock. 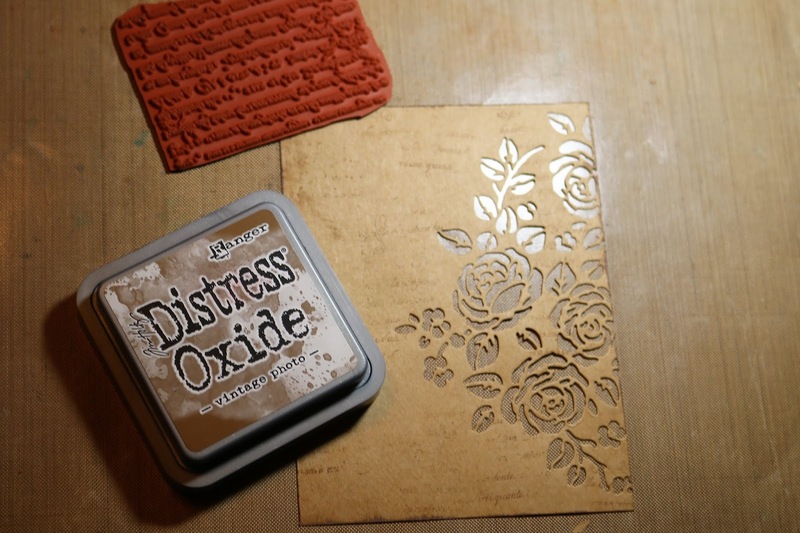 In brown ink, stamp the Faded page text randomly all over the background. Edge it with the same brown. 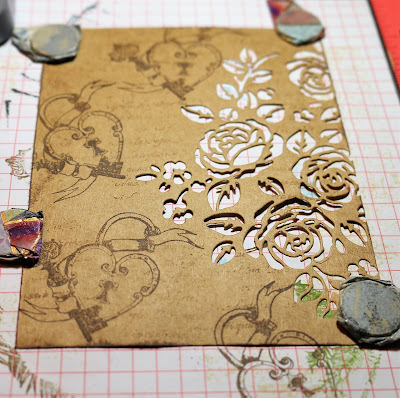 Next take Heart lock & key and a darker drown ink and stamp randomly on the left side of the die cut flowers. 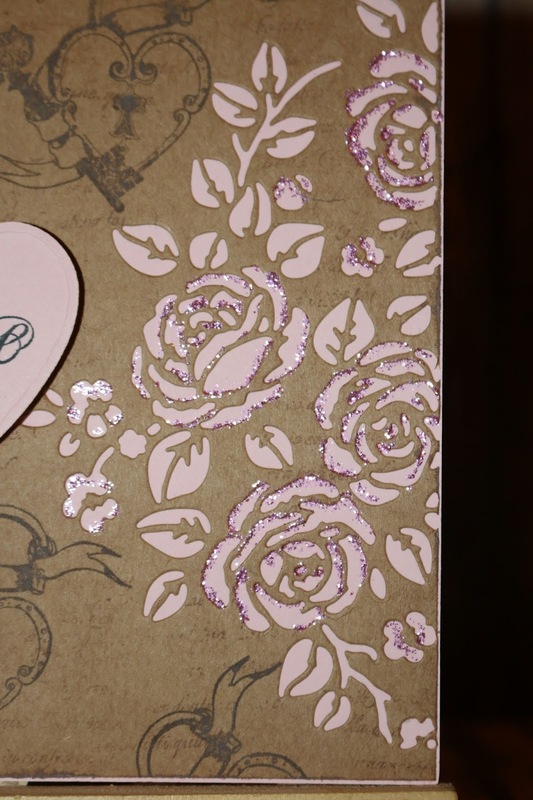 Close up of the Heart lock & key on the craft cardstock. 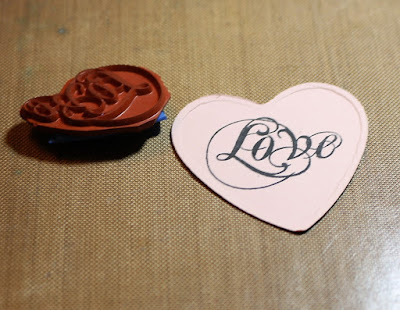 Die cut a heart from pink cardstock. You can use a heart punch if you have a large one. Stamp the Love saying onto the heart. 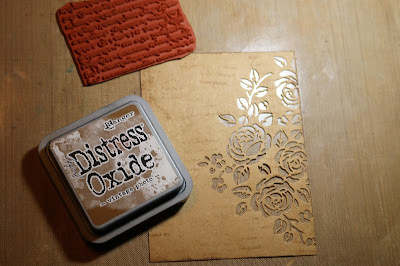 Next get your card base ready to go. 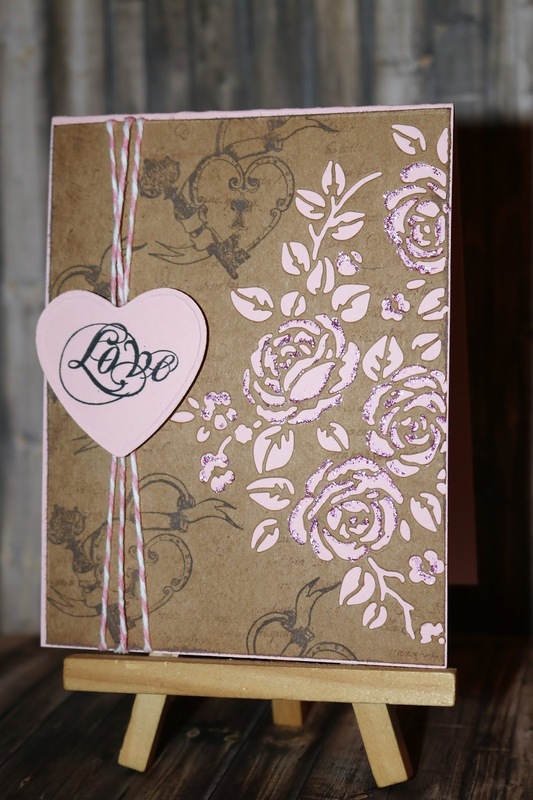 Wrap the pink twine around the left side of the craft cardstock you have stamped on. Tape it on the back to hold it in place. Glue the craft cardstock on to the base of the pink card. Add foam squares to the heart and add it on top of the twine. 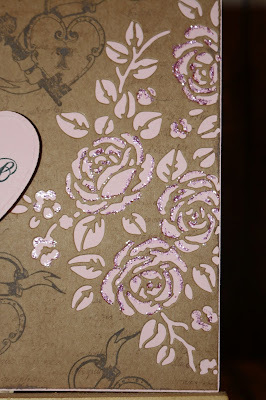 Lastly add some pink glitter inside the flower die cut. This is a shabby vintage Valentine card for you. I adore your vintage romance! 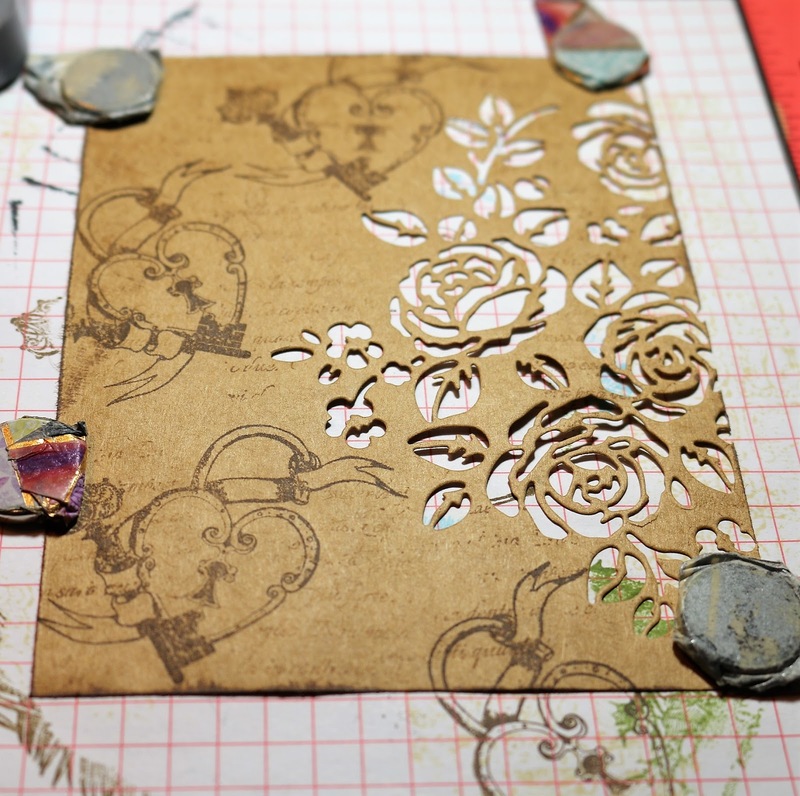 The aged looking stamping and awesome roses, wow!